We are all mindful of the increasing news coverage of outdoor play and its benefits, but how can you go beyond the sandpit and hopscotch to create a magical and creative experience for the children in your care? 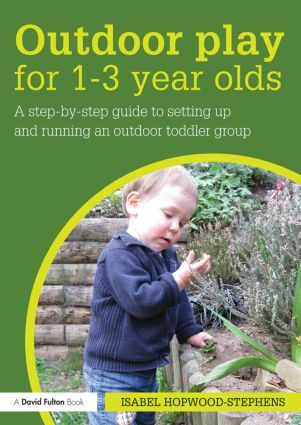 This book provides all the encouragement you will need to set up and run an outdoor toddler group. It provides a step-by-step guide to selecting an appropriate site, resourcing the outside area, devising age-appropriate activities, planning activities and the legal requirements involved. Including an overview of the developmental milestones of babies and toddlers, it shows you how you can meet their specific needs. With a strong emphasis on providing fun learning activities throughout the year, this book will be essential reading for all those that want to provide high quality outdoor experiences for the youngest children in their care.